Cured the Salmon in Castor Sugar, Salt and Pepper. Sliced and drizzled with oil. Cooked very quickly on one side only in a scorchingly hot pan. 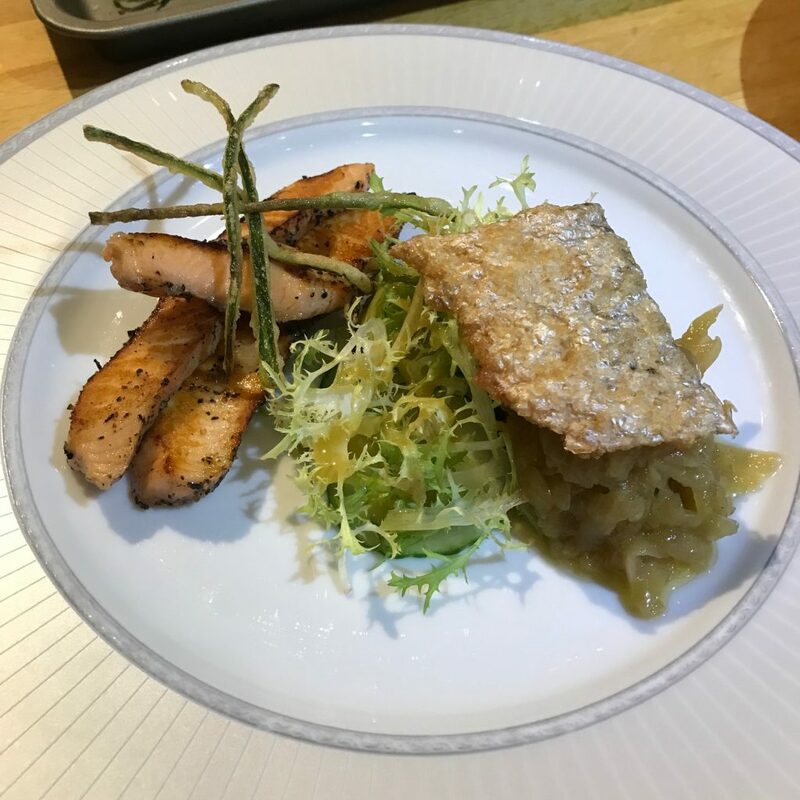 Served with Cucumber Salad, Cucumber Relish, Cucumber Crackling and Salmon Crackling. Pan-fried and then oven roast the Lamb Rack. 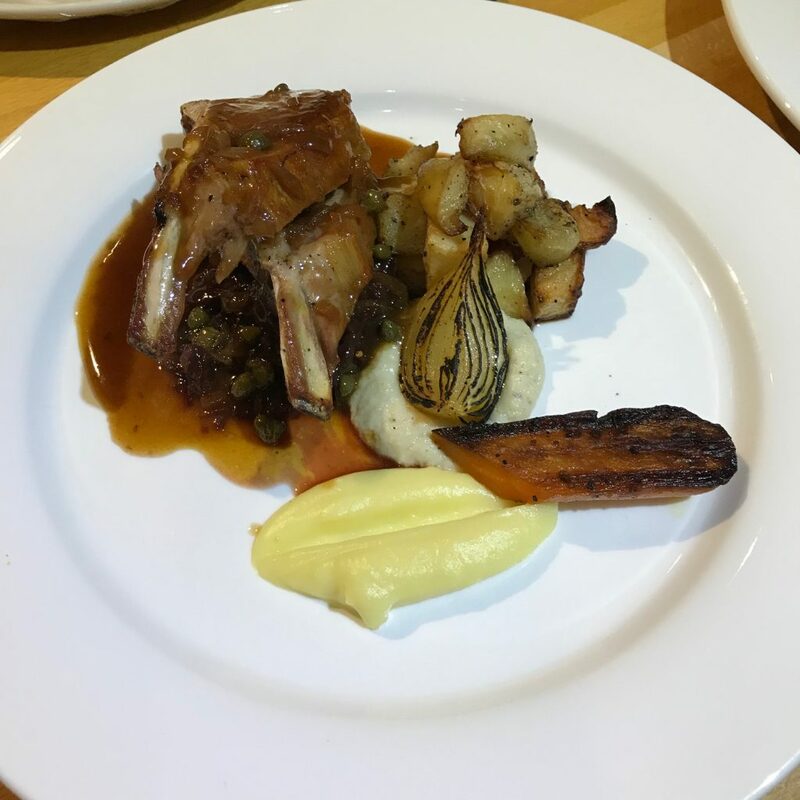 Served with Roast Onions, Roast Onion Puree, Parsnip Puree, Carrots, Red Cabbage and Parmentier Potatoes. 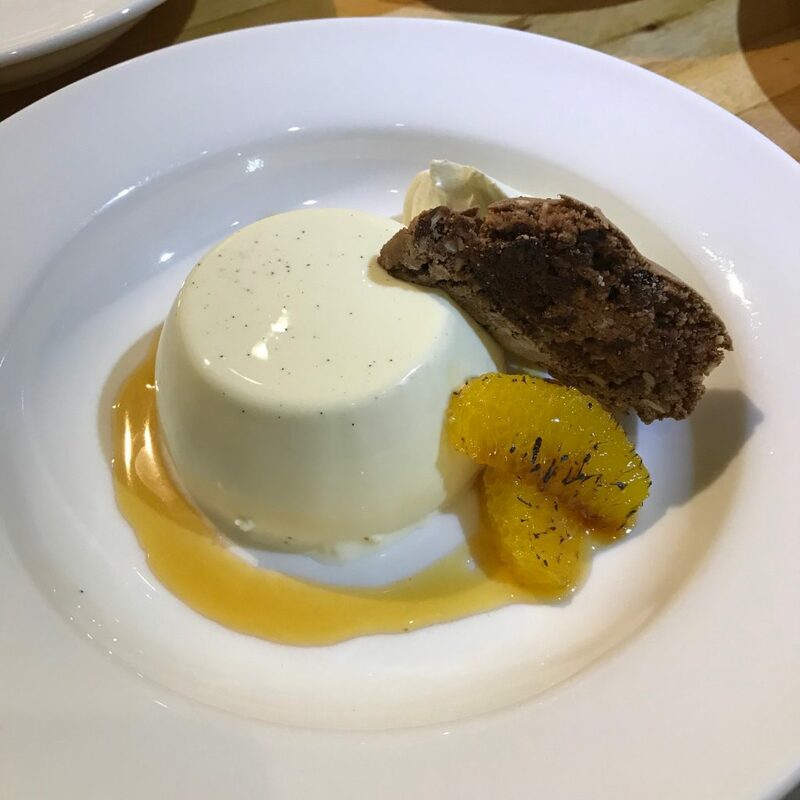 Sweet Vanilla Panna Cotta with Orange Caramel Sauce, Creme Chantilly, charred Oranges and Chocolate, Orange and Almond Biscotti.